For an updated version of this lens with image stabilization and enhanced coatings, see the Canon EF 70-200mm f/2.8L IS USM III Lens. The Canon EF 70-200mm f/2.8L USM Lens sports a constant f/2.8 maximum aperture yielding superb image quality. A focus range limiter allows you to set a particular range of focus which enables shorter focusing times - a great option when you know exactly how far away a fast-moving subject is that you are trying to capture. This lens comes with a tripod collar so that you can either grip it directly for extra stability or mount it on your tripod and take pressure off of the mount of your camera. The Canon EF 70-200mm f/2.8L can be paired with both full frame sensor cameras, such as the Canon 5D Mark III, and with crop frame sensor cameras, such as the Canon 7D Mark II. The focal length equivalent on crop frame sensors is 112-320mm. This lens is ideal for sports and wildlife photography as well as portraiture and event shooting. Please note that this lens does not come with image stabilization. 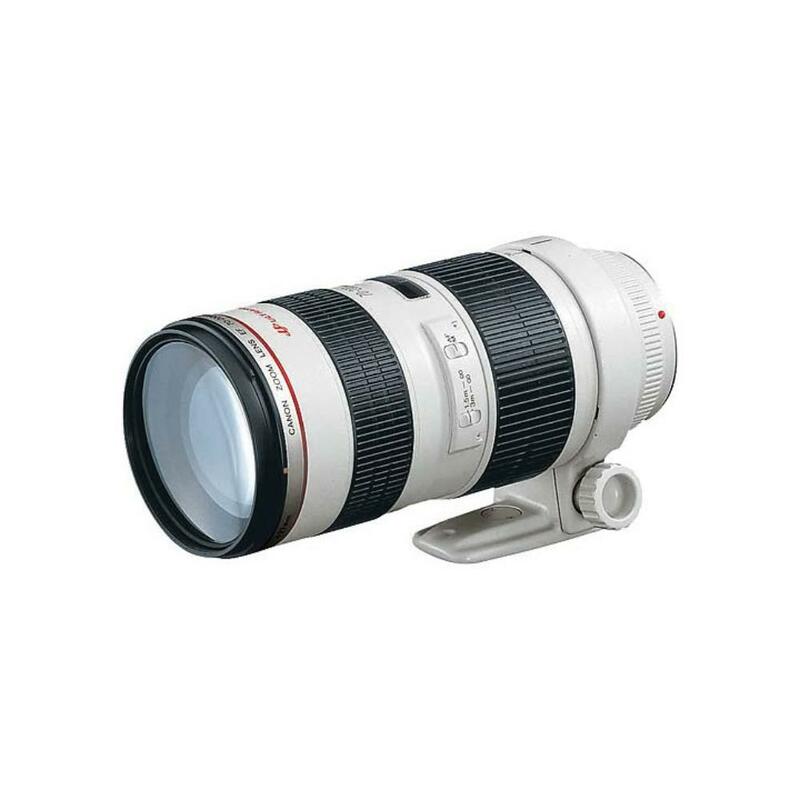 Please see the Canon EF 70-200mm f/2.8L IS USM II Lens for this same lens but with stabilization. • For teleconverter compatibility, please refer to individual Canon teleconverters. • This lens does not come with stabilization. Please see the Canon EF 70-200mm f/2.8L IS USM II Lens for this same lens but with stabilization.